Google just launched the Chrome 27 beta, and already it's talking about Chrome 28 - which will include the recently announced switch to Blink. Blink is the new rendering engine that will replace WebKit across all of Google's operating systems and browsers. 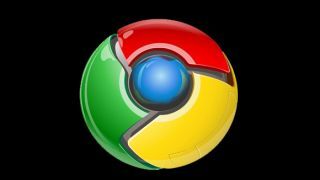 Blink will arrive alongside Chrome 28 in about 10 weeks' time, Google revealed in a Q&A video, posted yesterday, that explains the company's decision to fork WebKit. On Thursday, Google announced plans to fork the widely-adopted rendering engine WebKit and develop its own rendering engine, based on WebKit, called Blink. Google software engineer Adam Barth wrote Thursday that Google believes that "having multiple rendering engines - similar to having multiple browsers - will spur innovation and over time improve the health of the entire open web ecosystem." WebKit currently powers both Apple's Safari browser and Google Chrome, amounting to 40 percent of browser usage. That's about to change obviously, and it's unclear what implications Google's Blink switch will have for the future of the web. Barth did reveal Google's initial reasoning: "In the short term, Blink will bring little change for web developers," he wrote. "The bulk of the initial work will focus on internal architectural improvements and a simplification of the codebase. Blink is supposed to replace WebKit in Chrome on all platforms, though Apple's iOS - a platform on which browsers are required by Apple to use WebKit - is conspicuously not mentioned in the video.